Samsung Bioepis cleared to sell Herceptin biosimilar in the U.S.
South Korea’s Samsung Bioepis Co. gained approval on Friday from the U.S. Food and Drug Administration for Ontruzant, a biosimilar of the blockbuster breast cancer treatment Herceptin. The U.S. rollout is expected in the latter half of this year. U.S. sales of Ontruzant would be overseen by the American pharmaceutical firm Merck Sharp & Dohme (MSD), which also owns the exclusive marketing and distribution rights to another Bioepis biosimilar Renflexis, a treatment for rheumatoid arthritis. Samsung Bioepis is a joint venture between Korea’s Samsung BioLogics Co. and U.S.-based Biogen Inc. It specializes in biosimilars, which are cheaper, generic versions of biologic drugs that can be officially manufactured once the original drug’s patent expires. Ontruzant is a biosimilar referencing Roche Holding AG’s Herceptin, an antibody used to treat breast cancer and stomach cancer. 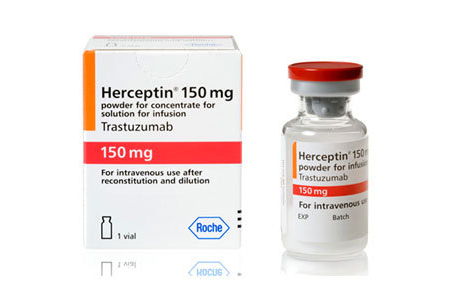 Herceptin was the world’s fifth best-selling drug as of 2017, with sales topping 8 trillion won ($7.11 billion) a year. Half of its sales are said to come from the U.S. Many other drug makers have been rushing to develop biosimilars for Herceptin as patents related to the drug are due to expire in June. Ontruzant is the third Herceptin biosimilar to be cleared by the U.S. FDA after Ogivri, jointly produced by India’s Biocon and U.S.-based partner Mylan, and Herzuma, by Korea’s Celltrion and Israel’s Teva Pharmaceutical Industries. Ontruzant was first launched in the U.K. in March 2018 upon obtaining approval from the European Commission in November 2017. In addition to Ontruzant, Samsung Bioepis sells three more biosimilars in Europe, including Flixabi, an infliximab biosimilar marketed as Renflexis in the U.S.; Benepali, an etanercept biosimilar sold as Brenzys in the U.S.; and Imraldi, an adalimumab biosimilar referencing Humira.